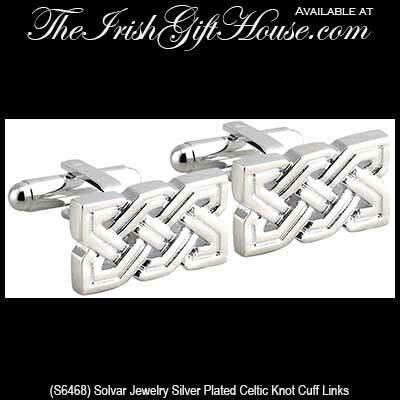 These Celtic cuff links, like all the Irish made jewelry at The Irish Gift House, are nickel free and hypoallergenic. These silver plated Celtic cuff links are a rectangular shape that measure 3/4" wide x 3/8" tall and feature a classic knot-work design. 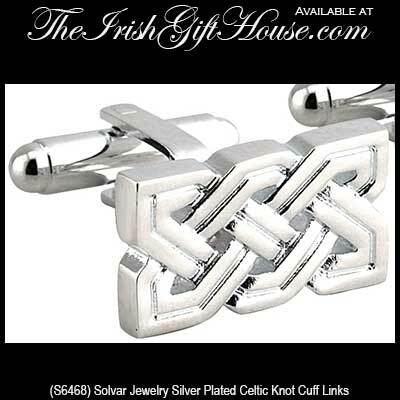 The double hinged Irish cuff links are gift boxed with a Celtic knot history card that is complements of The Irish Gift House; they are made by Solvar Jewelry in Dublin, Ireland.